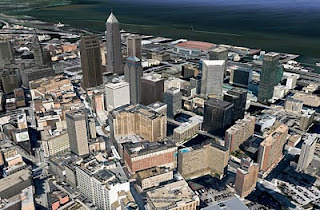 Tucson, Arizona and Cleveland, Ohio are some of the newest cities to join the Google Earth 3D family. If you haven't checked them out recently, it may be time to take a trip (download a kml tour)! These two American cities should not be missed, as they have a little of something for everyone! Fly to the southern shore of Lake Erie and you will find Cleveland, rich with diverse architecture and history. What are you waiting for? Turn on the 3D Building layer in Google Earth and start exploring! Sketchup is more that 3D cities. Lots of us use it for other things. Not seeing it; downtown Tucson is still flat as a pancake. Do I have to download a new version of Google Earth? [Using 5.1 from Nov 09]. This is so cool! You guys are doing great work!! This is just another reason why I like your website. I like your style of writing you tell your stories without out sending us to 5 other sites to complete the story. Please come visit my site Virginia Beach Business Phone Numbers when you got time. This is just another reason why I like your website. I like your style of writing you tell your stories without out sending us to 5 other sites to complete the story. Please come visit my site Virginia Beach Community Video Library when you got time. 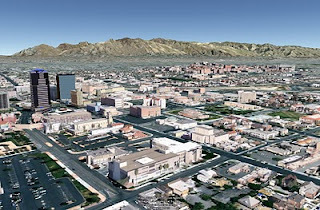 Nice 3d of tucson and cleveland. 3d shows a real and clear view of cities / building layers / vehicles internal parts. Thanks for sharing great 3d view of those cities. Keep blogging. Is there any way I can get permission to use the Google Sketchup models and model them in Microsoft Flight Simulator. I would do this for free and not charge anything for scenery added by using the Google Sketchup models arleady used in Google Earth. They would be freeware scenery and the models could not be duplicated at all by reverse engineering. Please advise.